The Felix Chong Man Keung directed film PROJECT GUTENBERG (MO SEUNG) was about a criminal organization led by "Painter". It perfected the currency counterfeit technology and committed the crime all over the globe. 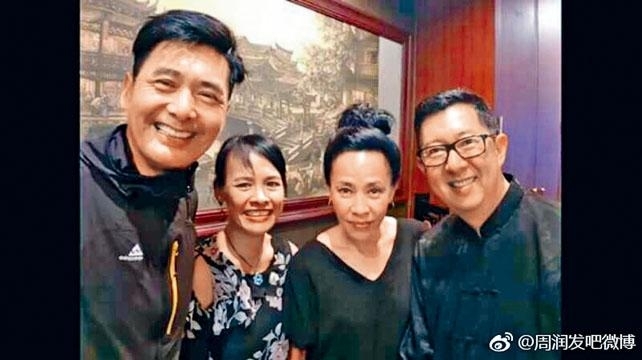 The film starred two Best Actors Chow Yun Fat and Aaron Kwok Fu Sing, as well as Liu Kai Chi, Paulyn Sun and Deon Cheung Chung Chi. It would also shoot on location in Canada and Thailand. The always friendly and known as the "People's Chief Executive" Fat Gor always became the target of everyone's "photo opportunity". Because Fat Gor made many classic films in the 80s and the 90s he had fans all over Asia. Fat Gor while working on PROJECT GUTENBERG in Chiang Ma, Thailand was "captured" at a Chinese restaurant.